Lauded Florentine tailors Liverano & Liverano have produced their first ready-to-wear jacket, exclusively for The Rake. Two- or three-button closures; soft, sans padding shoulders; roomy sleeves for ease of movement; a single slanted dart running from armhole to pocket, harmonising with collar and lapel: it’s fair to say that Liverano & Liverano’s house style is traditional Florentine tailoring distilled. And it’s not just the anatomy of the clothes that makes their Via dei Fossi atelier so perfectly in situ: founder Luigi Liverano learned his trade at the city’s Commesatti school in the late 1940s and early 1950s, and was joined by his brother Antonio upon opening his history-in-the-makingstudio in the city (Antonio Liverano can still be found manning the cutting table at the Via dei Fossi atelier six days a week). And there’s nothing more authentically Florentine, of course, than a genuine family business. For centuries now — during the Renaissance it was the city of fashion as well as art — this Tuscan gem of a town has been serving up sartorial excellence, with an emphasis on precision of cut and quirky artistic exuberance that matches the city’s monuments and churches. Hence, we at The Rake are more than a little honoured that the brand has created, for us, its first ever ready-to-wear jacket. 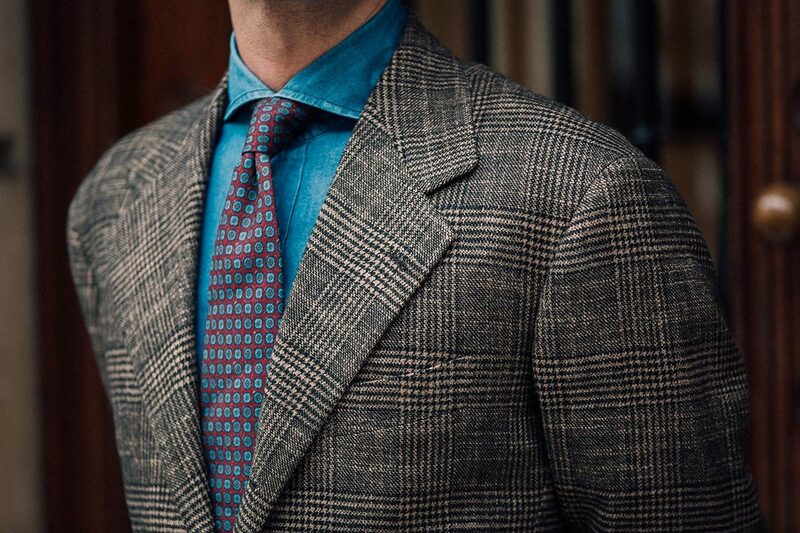 Fully handmade and single-breasted, it’s created according to the house’s signature method — no pleats or stitching in the front — and is crafted from an exclusive vintage fabric made by some other Italian masters found around 250 miles to the north-east of Florence, Vitale Barberis Canonico. In the early phases of its illustrious history, Liverano & Liverano would tend to greet mainly locals to its atelier; these days, as the world becomes increasingly enamoured of the joys of traditional tailoring, it handles vastly more overseas clients than it once did, according to the team member appointed specifically to deal with them, Takahiro Osaki. This piece — one apt for strolling the thoroughfares that link the Uffizi, the Duomo and the Ponte Vecchio, but just as well suited to any modern urban hub — should, in reaching a ready-to-wear audience, make the brand’s appeal all the more ubiquitous. And deservedly so. It is an investment, no less, in tailoring history-in-the- making.